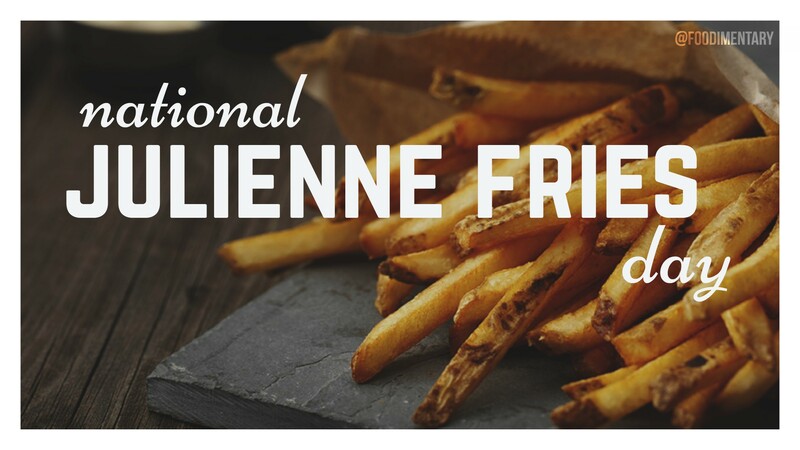 August 12th is National Julienne Fries Day! Leaving the potato skin on French fries actually leaves in important vitamins that are lost if the skins are peeled away. French fries are, perhaps, poorly-named, since they originate in Belgium and are most popular in America. Though French fries were invented in Europe, the potatoes, from which they are made, originated in the Americas and were imported. The first occurrence of French fries in America may have been at a diplomatic dinner hosted by Thomas Jefferson. 1759 Thomas Andrew Knight was born. British horticulturist and botanist who experimented with geotropism, phototropism and heliotropism. (We all know our tropisms, don’t we?). 1883 The quagga, a zebra-like mammal of southern Africa became extinct when the last mare at Amsterdam Zoo died. They had been hunted to extinction. 1948 Harry Brearley died. Brearley was an English metallurgist who invented stainless steel in 1912. 1990 B. (Barnard) Kliban died. A satirical cartoonist, best known for his cat cartoons. A few of his cartoon book titles: ‘Never Eat Anything Larger Than Your Head’, ‘The Biggest Tongue in Tunisia’.